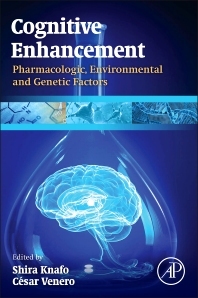 Cognitive Enhancement: Pharmacologic, Environmental and Genetic Factors addresses the gap that exists in research on the topic, gathering multidisciplinary knowledge and tools that help the reader understand the basics of cognitive enhancement. It also provides assistance in designing procedures and pharmacological approaches to further the use of novel cognitive enhancers, a field that offers potential benefit to a variety of populations, including those with neurologic and psychiatric disorders, mild aging-related cognitive impairment, and those who want to improve intellectual performance. The text builds on our knowledge of the molecular/cellular basis of cognitive function, offering the technological developments that may soon enhance cognition. Separate sections cover enhancement drugs, environmental conditions, and genetic factors in terms of both human and animal studies, including both healthy/young and aging/diseased individuals. Chapter 1. What Is Cognitive Enhancement? Are Today’s “Cognitive Enhancers” Truly Efficient? Chapter 8. Can Stem Cells Be Used to Enhance Cognition? The Drugs Do Not Work: What Is Failing in AD Therapies? What Kinds of Cognitive Enhancement Are Relevant to the Normative Discussion and Why? What Are the Normative Issues Associated with Cognitive Enhancement? Shira Knafo is the head of the Molecular Cognition Laboratory and an Ikerbasque research professor at The University of the Basque Country (Biophysics Unit, Leioa). Her particular interests are in studying the molecular and synaptic mechanisms underlying learning and memory processes, cognitive malfunction and cognitive enhancement. Her experience in different scientific disciplines (medicine, animal behaviour, electrophysiology, molecular biology, morphology and imaging) allows her to adopt a multidisciplinary approach that is considered a great asset in modern neuroscience research. In 2012, she was awarded the Sieratzki Prize for Advances in Neuroscience (Tel-Aviv University) for her contributions in the field of cognitive neuroscience. In the same year, the Spanish National Research Council acknowledged her achievements in its annual tribute to its scientists. In 2013, the Spanish Ministry of Science awarded her an I3 certificate of excellence. 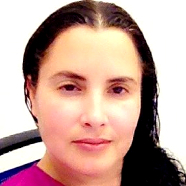 Associate Professor, Department of Psychopharmacology at the Universidad de Educación a Distancia in Spain and is Director of the Lab for Neurobiology of Stress and Neurodegenerative Diseases. He has authored two books on psychopharmacology and memory work. He co-chaired the “Cognitive Enhancement in Health and Disease” symposium at the 2012 Federation for European Neuroscience annual meeting.